CNN) For the second month in a row, Time magazine has put a provocative photo illustration of President Donald Trump on its cover -- this time, morphing him into Russian President Vladimir Putin. 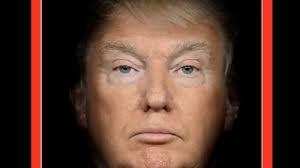 In it, Trump's distinctive blonde hair, wispy eyebrows and pursed lips merge with Putin's nose and blue eyes. The stunning photo illustration, by visual artist Nancy Burson, "is meant to represent this particular moment in US foreign policy, following the pair's recent meeting in Helsinki, Finland," Time said in a statement. Trump has weathered heavy criticism from Democrats and Republicans alike for his performance at the meeting, where he publicly sided with Putin over US intelligence agencies' assessment that the Russians interfered in the 2016 presidential election. Since coming back home from Finland, the President has changed his messaging and now says he holds Putin personally responsible for the election meddling and believes the assessment of government intelligence agencies. 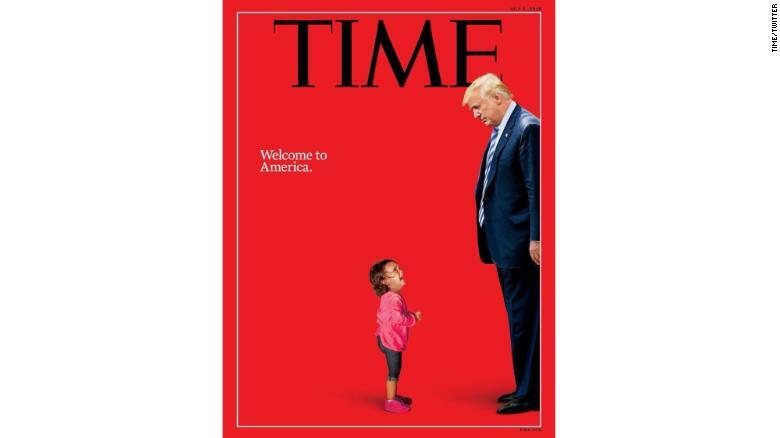 Just last month, Time used the President in another striking image on its cover, when the Trump administration's policy that separated families crossing the US border was dominating the headlines. She's best known for developing a photographic face-aging technique that the FBI uses to find missing children, according to the Time statement. Her most famous aged image is the one of kidnapped 6-year-old Etan Patz that was on the front page of the New York Post in 1985. It showed what Patz might have looked like six years after his kidnapping. Burson told Time her goal with the Trump-Putin image was to make people "stop and think" about the similarities between the two leaders. "What my work has always been about is allowing people to see differently," she said. "The combining of faces is a different way for people to see what they couldn't see before."